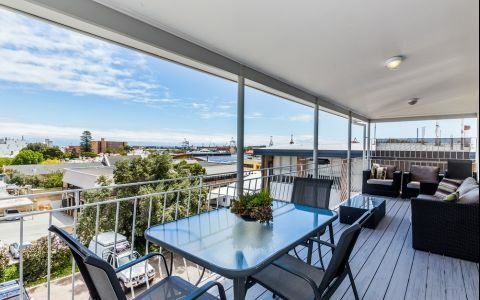 Panoramic 180ocean views over Fremantle harbour 5 minutes walk from town centre. Located on free CAT bus route. 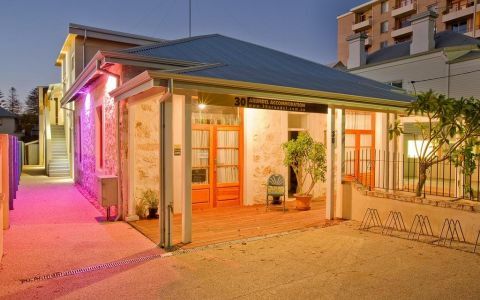 Fremantle self contained studio apartments with Queen bed and double sofa bed. Fully equipped kitchen with fridge microwave, gas cooker etc. There is a washing machine and dryer in the apartment and also a fully equipped laundry on site. Telephone connected for your convenience. All linen including towels and teatowels are provided. Located a short walk from the famous Fremantle cappuccino strip with the parklands of the war memorial in the background. 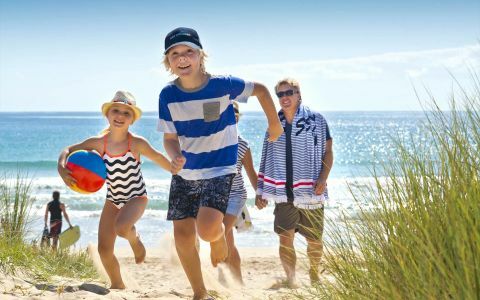 Visit Rottnest from the ferry at Victoria Quay, play golf, go whalewatching or just meander around the historic city of Freo. Plenty to see and do. The ever-changing magnificent harbour and ocean views will instantly captivate you, there is always something interesting, fascinating and inspiring to watch. 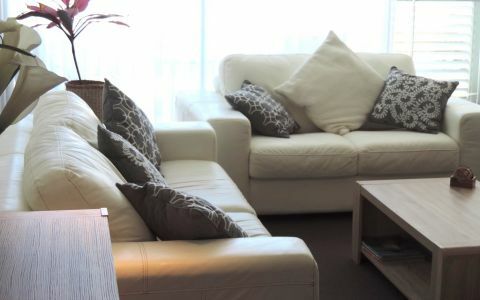 Studio configuration, this spacious Fremantle apartment has everything you would need for your stay. * Fully equipped kitchen. * Bathroom with shower and vanity. * Laundry facilities in the apartment. * Queen bed. * Double sofa bed or roll a way single. * All linen supplied * Wireless Internet free. * Car parking 1 car free. * Free CAT bus passes nearby * Quiet location 5 minutes walk into central Fremantle. *5-7 night minimum for Christmas, New Year and Easter period. *49m2 recently renovated Studio room with Queen size bed located on the top floor with magnificent ocean views. *Fully equipped kitchen with every amenity. *Bathroom with toilet, shower, vanity and washing machine. *All linen and towels supplied. *Washing powder, handwash, body wash, 2 toilet rolls, small milk, tea, coffee, sugar and dishwashing liquid supplied. *Wireless internet *Off road parking for 1 car *Lift in complex *FREE cat bus passes nearby *5 minutes walk into the centre of Fremantle. *Weekly service cleans for longer stays. Located on the corner of Ord and High Streets Fremantle. 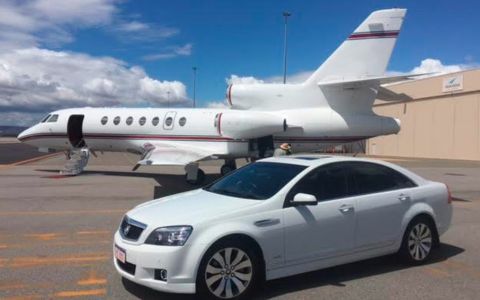 30 minutes from domestic or international airport west along Leach Highway to High St. Perth city is accessible by train or bus.The beautiful Swan River is a 10 minute walk from the apartments. Fantastic view over the port. Easy access to Fremantle center. Highly recommend. Our second visit to Callan appts, even better this time. Excellent communication from the manager; easily accessible; clean and functional. Very close to Fremantle Unit was open & airy. Nice private seating area out the back.